When Dr. John Snow first traced an outbreak of cholera to a water pump in the Soho district of London in 1854, the field of epidemiology was born. Taking the same concepts and tools of public health that have successfully tracked epidemics of flu, tuberculosis, and AIDS over the intervening one hundred and fifty years, Ernest Drucker makes the case that our current unprecedented level of imprisonment has become an epidemic—a plague upon our body politic. He argues that imprisonment—originally conceived as a response to individuals’ crimes—has become “mass incarceration”: a destabilizing force that undermines the families and communities it targets, damaging the very social structures that prevent crime. 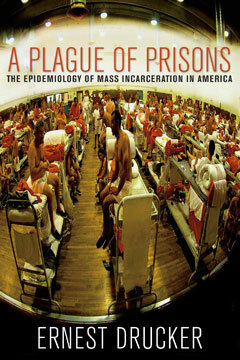 This book demonstrates that our unprecedented rates of incarceration have the contagious and self-perpetuating features of the plagues of previous centuries. Sure to provoke debate and shift the paradigm of how we think about punishment, A Plague of Prisons offers a totally novel perspective on criminal justice in twenty-first-century America.